We plan on having a very active and interactive book release period including live multimedia events, book-signings, Personal appearances and other events. Also included on this page is the projected timeline for the release of the book. Check back often to se the latest dates and appearances. Since Cathy and Robert Kothe foster dogs for North Shore Animal League America, we have been invited to tell people about the book and also represent the foster table. Weather permitting, we will bring our own dog, Zeta who was our first foster over four years ago. She is a real crowd-pleaser and steals the show. Join in on the fund-raiser and form a team for the walk and Wag. Click here to learn more. Any books that are pre-ordered within the pre-launch period will receive a pre-order discount. All books will begin to be fulfilled by amazon.com on October 28,2018 when the pre-order period is complete. On October 12, 2018 Robert Kothe spoke with LIBRA Networking on the business aspect of publishing a book in today’s world. Here is an excerpt on how his wife, Cathy Kothe, the World Record Holder, got started. We will be doing an extensive book tour and book signing with a very unique multimedia presentation. Spoiler Alert: WARNING – DO NOT WATCH THE FOLLOWING VIDEO if you want to be completely surprised at a book event. The video is made up of excerpts of the content from the presentation. If you do watch it, please pretend to be surprised at the actual event. After the Saturday sale and swap meet and before the auction Cathy and Robert Kothe will be presenting the multimedia presentation that they are performing at libraries and bookstores throughout the year. We are happy to sign and personalize any books throughout the Garfield Gathering event and after the presentation. 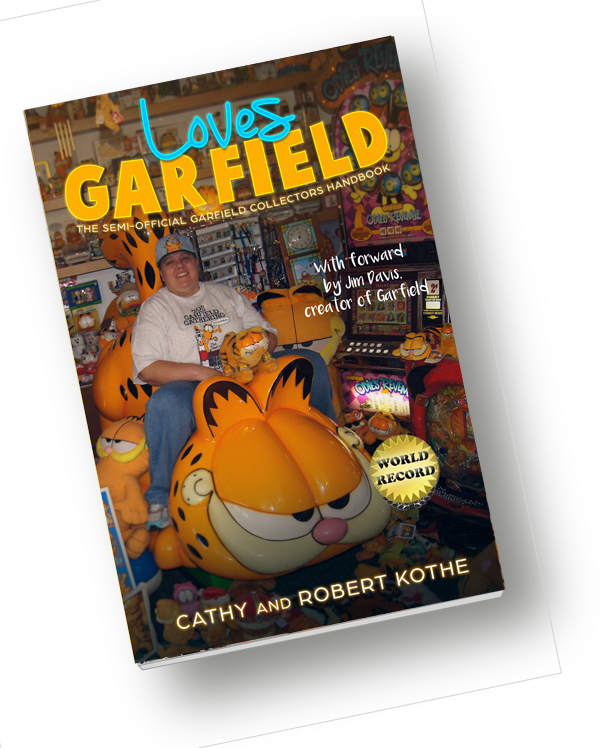 Check the Garfield Gathering Website and Nancy’s Plush Toys for more details. You can also follow the Garfield Gathering Facebook Page.